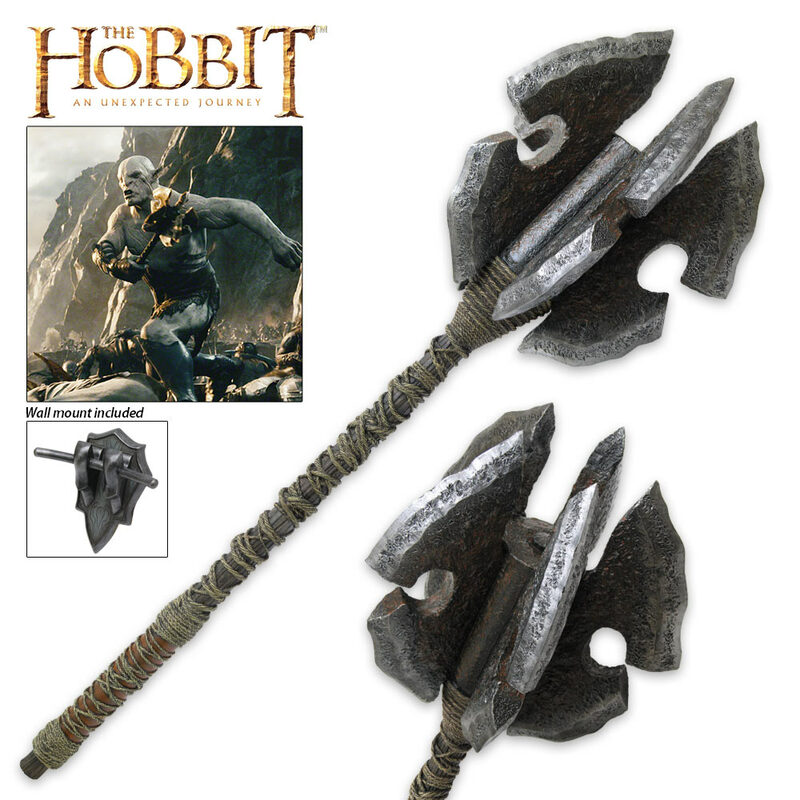 Officially licensed replica from The Hobbit series. 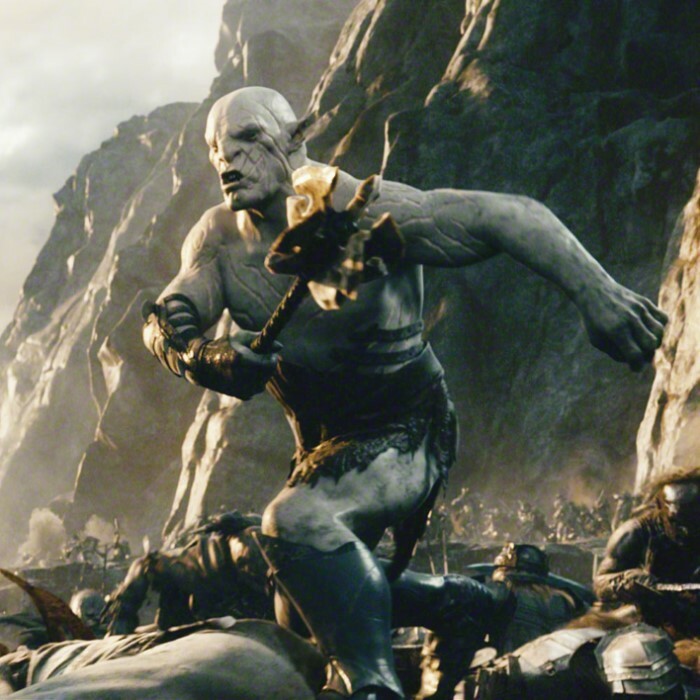 This steel-reinforced polyresin mace was wielded by Azog the Defiler who sought to destroy every single member of ThorinOakenshield's gang. The mace is built to exactly match the actual filming prop as closely as possible with superb attention to detail and the highest quality materials. You can display it on the poly stone wall mount. This replica is built to scale at 40" in overall length with a 12-13/16" head. At the time of this writing, this mace is only $100 on BudK. Get it now! What a fantastic weapon. 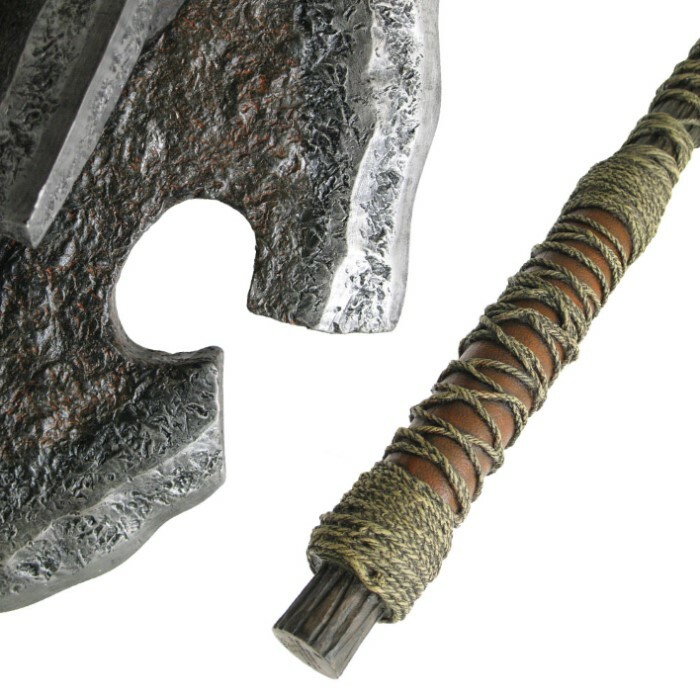 The first thing to know is it is significantly more fragile than any other LOTR/Hobbit replica, so be careful. The pure size of this thing is ridiculous. Hang it in any room in your house and it will immediately draw any newcomer's full attention. The wall mount is very well designed to bear most of the weight at the head, but also keep the end of the handle resting against the wall to spread some of the weight across two pressure points. Each one is individually serial numbered too (mine is #66, which is a little creepy when you think about it). All in all, a stunning piece easily worth the money. This is by far the biggest and baddest of all the LOTR & Hobit weapons. It's so heavy that I don't trust the display plaque that came with it and I'm making a tabletop display for it (but I'll use the plaque for something else, because it's pretty nice). The paint and detail on the handle is excellent; on the mace head the paint is a little too bright. . .but dwarf blood will fix that!